The Sims 3: Late Night brought with it fun, new additions such as vampires, Sims 3 hot tubs, high rises, the subway system, clubs, and many more cool things such as the new food truck for The Sims 3. What exactly is it and what can your Sim eat from it? Find out in this guide! 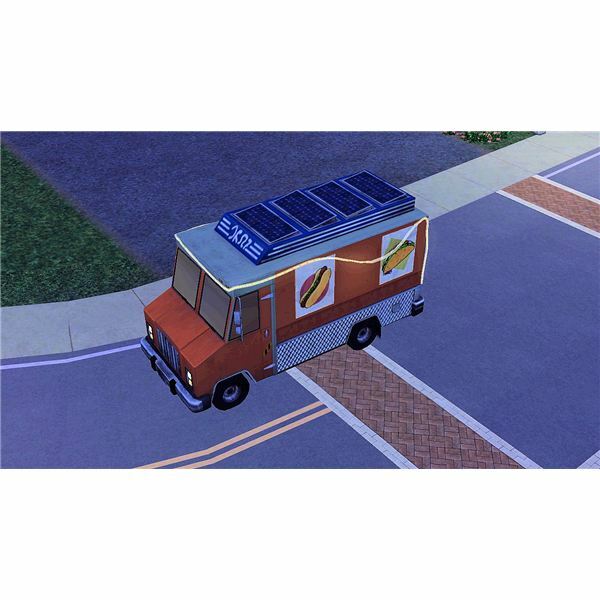 The Sims 3 food truck doesn’t have a driver, chef, or a sales person that sells the food. So, it essentially just acts as a moving NPC in the game. The food truck in The Sims 3 drives around town and sets up their “shop" at parking spaces in Bridgeport. The truck will move around throughout the day and can sometimes be hard to find in town. If you look closely around town (pushing the pause button helps), you should be able to find it somewhere in the downtown area of Bridgeport. I found it most often near Subway spots, but you may have luck elsewhere in your own hunt for the food truck. What Does The Sims 3 Food Truck Serve? The mobile restaurant that was added to Bridgeport in The Sims 3: Late Night includes only six meals that Sims can purchase, but these six meals are very popular with Sims and are easy to eat when sitting in the park or on a bench nearby where the food truck parks. It is also sometimes hard to locate, but when you spot it – go ahead and make a purchase or two! Plasmafruit Chowder – sells for $30 Simoleons and is great for The Sims 3 vampires! Remember that the Sims 3 food truck is a mobile restaurant, so if your Sim catches it they can purchase their food and then eat it nearby in a park, or put it in their inventory and take home to eat their meal in the comfort of their own home. It is also an easy meal to pick up for a working parent (especially a working single parent) to just buy and bring home to their kids). 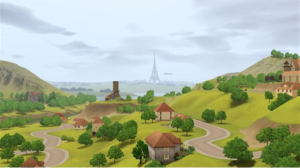 Of course it is easier to use the Sims 3 mod that makes a Sim’s needs static, but not all players like to use Sims 3 cheats! 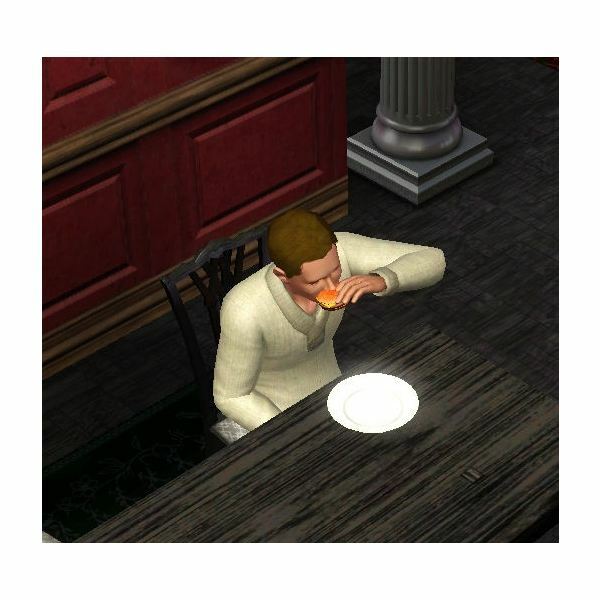 Caution: sometimes when a Sim eats two or more meals at a time from the food truck in The Sims 3, they will start to feel sick and will receive a negative moodlet. Don’t worry, it won’t last for too long and just know next time not to eat so much from the truck at a time!